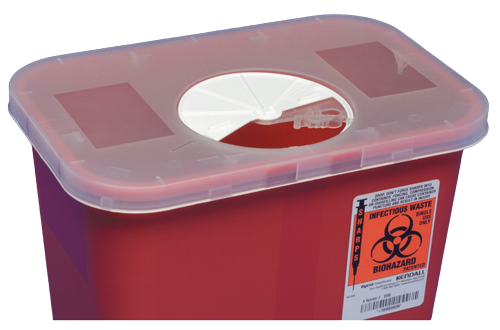 multi-Purpose Sharps Containers • Adjustable rotor opening or hinged lids accommodate a variety of sharps sizes and provide temporary and permanent closure. • Easy, simple assembly. • Containers lock for final disposal. • Nestable containers save valuable storage space. • Available holders and brackets secure containers wherever needed. • Plastics and pigments are safe to autoclave or incinerate. • For use on countertops or mounted on the wall. • Economical horizontal drop maximizes container volume. 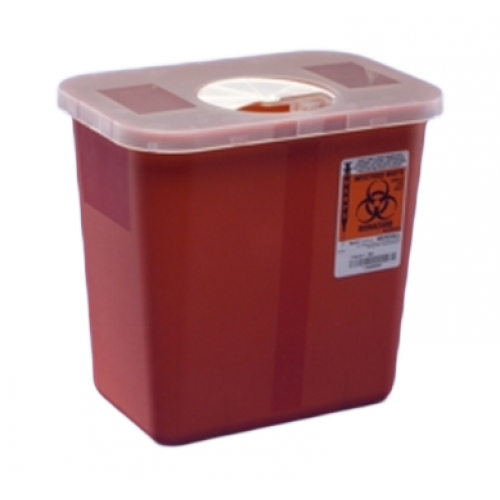 • Large horizontal openings accommodate larger syringes.